MeliÃ¡ Hotels International has announced its latest addition in the Dominican Republic with the launch of The Grand Reserve at Paradisus Palma Real, opening its doors officially on Saturday, December 15, 2018. Meliá Hotels International has announced its latest addition in the Dominican Republic with the launch of The Grand Reserve at Paradisus Palma Real, opening its doors officially on Saturday, December 15, 2018. 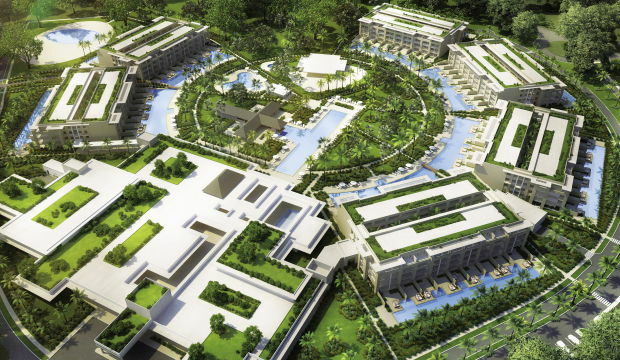 The new hotel is the first of its kind in the Paradisus portfolio and will feature ultra-luxe amenities and be the third Paradisus property to open in the Dominican Republic. In addition to the debut of The Grand Reserve, Meliá Hotels International has transformed the neighboring Meliá Caribe Tropical resort into two distinct properties – Meliá Punta Cana Beach Resort for adults-only and Meliá Caribe Beach Resort for families. The properties both opened its doors this past weekend. With a combined $140 million in renovations – $30 million for Meliá Punta Cana Beach Resort Meliá Caribe Beach Resort and $110 million for The Grand Reserve – Meliá Hotels International continues to show its dedication to investing in the Dominican Republic region and adding to its world-wide luxury portfolio. Representing distinctive values, heritage, and personality, Meliá Hotels International's various brands are found in iconic hotspots and undiscovered gems across the globe. Designed in the shape of a circle, the universal symbol of wholeness and perfection, The Grand Reserve offers guests the most luxurious experience in Punta Cana with 288 expansive, brand new accommodations ranging from 800 to over 3,000 square feet. Suites feature either one or two bedrooms and a variety of amenities including living and dining spaces, ideal for entertaining, independent soaking tubs and walk-in showers, as well as private secluded balconies with hydro-massage whirlpool tubs and outdoor living spaces. Most noteworthy of the suites are The Grand Reserve's Swim-Up Suites. Offering one or two-bedroom accommodations, these uniquely luxurious suites have direct access to an exclusive pool, complete with lush garden areas and a solarium. With an immersive culinary program, The Grand Reserve features fourteen restaurants and bars including a gourmet market, modern steakhouse with open-format kitchen, ceviche bar featuring fresh signature ceviche's, pokes and tartars, Asian-inspired concept featuring a sushi bar, teppanyaki and robatayaki tables and one of the most exclusive beach clubs in the Caribbean. Also debuting at its first Paradisus property is Black Oak, a modern take on your classic cigar bar offering a premium selection of cigars, liqueurs and artisanal cocktails. Whether guests are looking for a relaxing getaway, a wellness retreat or an adventure-packed excursion, The Grand Reserve at Paradisus Palma Real is suited for guests of all ages. The activities are endless and include relaxing at the Beach Club along the vibrant Bavaro Beach, participating in WOGA (water yoga) or taking a fitness class at the Circle Studio featuring new state-of-the-art fitness equipment and Blast! AquaFun Park, a kid's adventure park featuring water games and slides. Also debuting alongside the resort and new to the Paradisus portfolio are the MAIA Signature Treatments by Natura Bissé. Known for combining the most avant-garde techniques with technological innovation and traditional therapies, the new spa features products by the Spain-based beauty line Natura Bissé and boasts 14 treatment rooms and a relaxation room. In addition to the countless amenities offered at The Grand Reserve, guests will be able to Stay at One & Play at Three, with complete access to the extensive property offerings at both The Reserve and Paradisus Palma Real, with 15 world-class restaurants including Passion by Chef Martin Berasategui, who holds ten Michelin stars (additional cost), YHI Spa and YHI Spa Oriental Garden, five distinct pools and complimentary Life Enriching Experiences. Opening rates start at $354 per night, all-inclusive, double occupancy. Co-existing with hotel guests is an additional 144 suites for members of Circle by Meliá, creating a total of 432 suites in the entire building. Launched in 2016, Circle by Meliá is Meliá Hotels International vacation membership program offering the highest level of exclusive services and amenities including private transfers, exclusive dining experiences, spa treatments and special add-on amenities for children and couples.